This is a MR scan of my brain (head). I hereby put the images in public domain, free for all usages. The dimension is 176x256x256 in left-posterior-superior x-y-z with 0.001 meter qubic voxel sides. A vitamin E pill is attached with tape to my right side of my forehead. The sole reason for this is to be sure not to flip the axis in your visualization software. Note that "right" side refer to the patient's right side, normally pictured to the left. 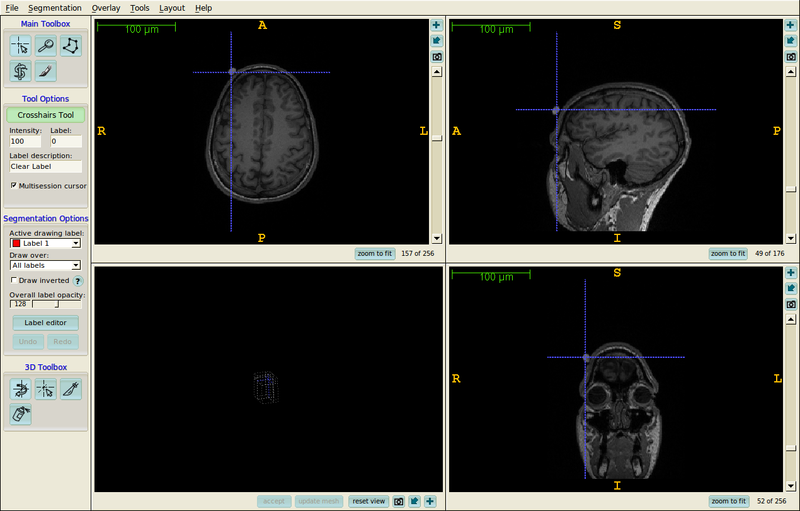 Screenshot from ITK-SNAP showing the jofobrain8.nrrd dataset. 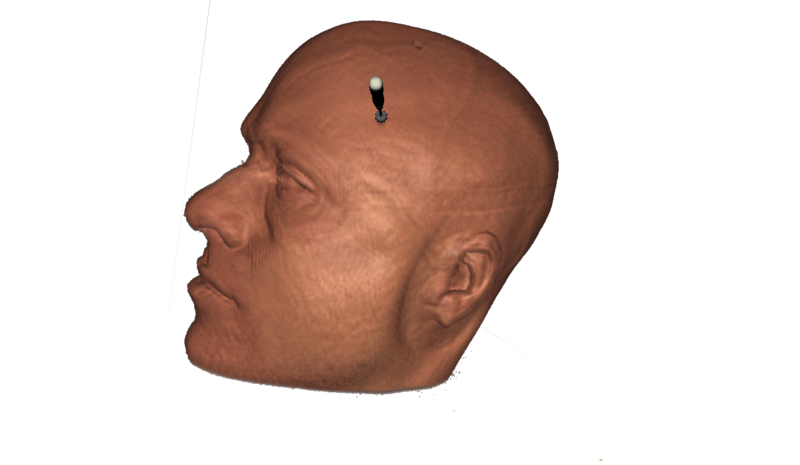 Screenshot from a 3D rendering of the dicom dataset.